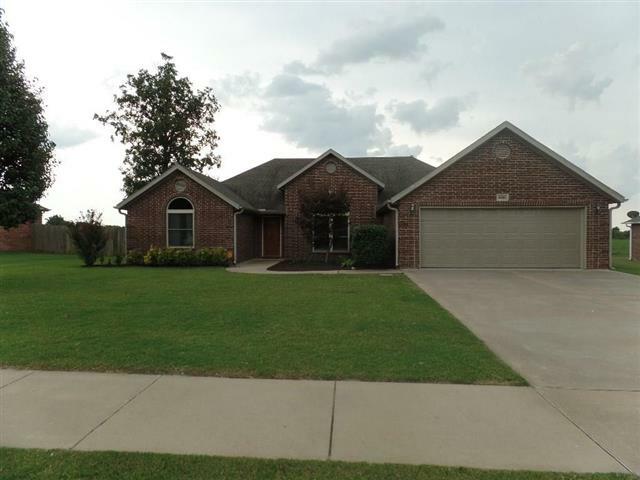 Beautiful 4 bedroom home located in Stonecrest Subdivision. This home is move in ready with several upgrades. Home has been freshly painted, new vinyl windows throughout. Kitchen has been upgraded, SS Appliances, with new gas range. Very nice bonus room with surround sound - perfect for media room or kids play area. Recirculating hot water system. New underground storm shelter in the garage & great tool storage area. Large private backyard with no one behind you. 20 x 8 storage building conveys.